Students enjoying a video clip at the conclusion of the first lesson of the new JLI Course, Communication: Its Art and Soul. 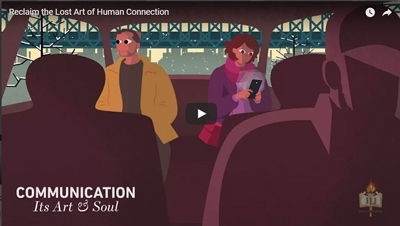 Communication: Its Art & Soul! 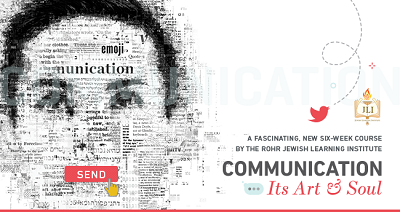 Our new course, Communication: Its Art & Soul, got off to a great start this week! With 5 stand-alone lessons to go, it's not too late to join in! Come by this Tuesday, Jan 30 at 7:30 pm to try it out free! (Please note that class will NOT be held on Tue, Feb 27. The last class will be on Tue, March 6). A nice crowd braved the cold weather to enjoy "A Shrek of a Trek: The Wild Spiritual Ride of a Hollywood Screenwriter" by David Weiss. Did you reserve your seat yet? Don't miss the guest speaker of the year! "Entertaining and inspiring" - "Two Thumbs Up!" Hear, from a master storyteller, about the unlikely journey of a nice Jewish boy who went from charismatic church youth worker to rediscovering his Jewish roots while building a blockbuster screenwriting career. David Weiss’ professional credits include: Shrek 2, All Dogs Go to Heaven, The Smurfs Movies, Are We There Yet?, Jimmy Neutron: Boy Genius, Rugrats and more. He served as Vice President of the Writers Guild of America and has written several children’s books. He lives in Los Angeles, with his wife, Eliana, their two kids, plus two cats, two birds, two dogs and a desert tortoise. 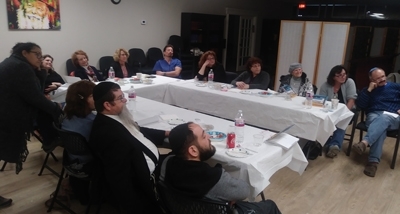 Save the date: Grand Shabbaton! 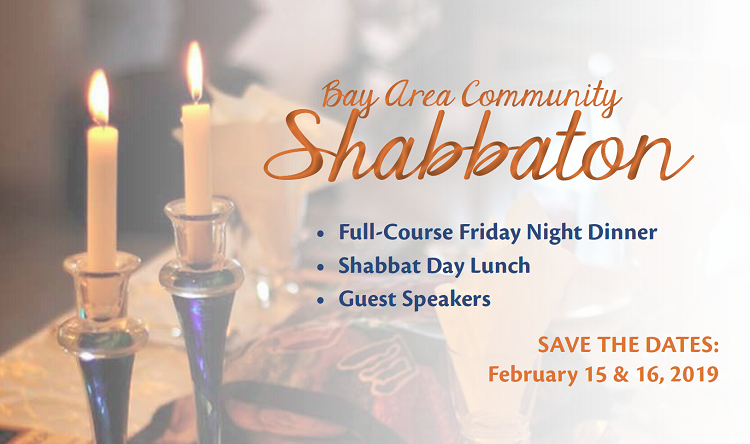 Mark your calendar for the Shabbat of Feb 15-16 for a very special Shabbaton! Stay tuned for details and for the official event invite, this will be a very special Shabbat not to be missed!